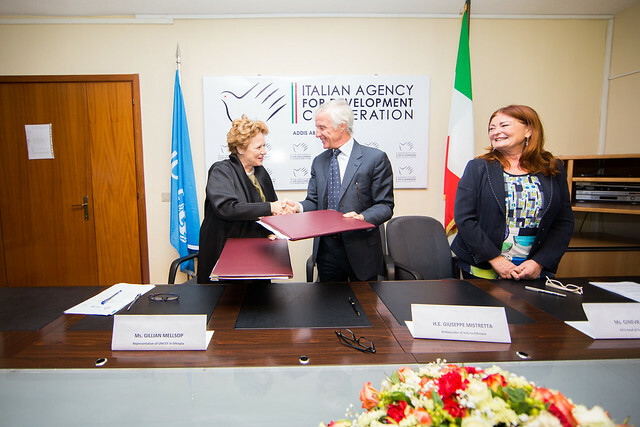 Italy and UNICEF sign the agreement for the second phase of the “vital events registration project”. ADDIS ABABA, 6 December 2017: Italy and UNICEF signed today a financing agreement for the project “Strengthening the Civil Registration System for Children’s Right to Identity: Identification for Development – ID – Second Phase” for an amount of one million Euros. The first phase of the project is currently under implementation in 50% of the Woredas and Kebeles of Oromia and Southern Nations, Nationalities, and Peoples’ (SNNP) regions. The second phase, which is funded by the Italian Ministry of Foreign Affairs and International Cooperation for a period of 12 months, will cover the remaining 50% of the Woredas and Kebeles of Oromia and SNNP Regional States. The agreement signed today by the Italian Ambassador Arturo Luzzi, the UNICEF Representative, Ms. Gillian Mellsop and the Director of the Addis Ababa Office of the Italian Agency for Development Cooperation, Ms. Ginevra Letizia, will implement strategic activities aimed at: 1)improving institutional and technical capacity of the Regional Vital Events Registration Agencies (RVERAs) in Oromia and SNNPR; 2) establishing a standardized database and data management system; 3) providing RVERAs with modern IT devices and transportation, in order to better reach remote and disadvantaged areas. 820,000 newborn children will benefit from this initiative. Speaking at the signing ceremony, Arturo Luzzi, Ambassador of Italy to Ethiopia said that: “Through this initiative, we reiterate our strong commitment to work closely with the Ethiopian Authorities in order to ensure the basic rights and protection of newborns and children, since the first crucial step of identification and registration”. 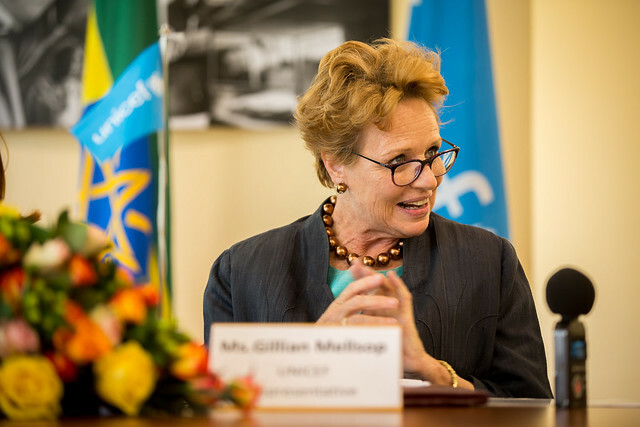 Ms Gillian Mellsop, UNICEF Representative to Ethiopia says: the Italy support will allow UNICEF to scale up its programmatic support to the Regional Vital Events Registration Agencies of Oromia and SNNP region. Ms. Ginevra Letizia, Head of the Addis Ababa Office of the Italian Agency for Development Cooperation underlined that “The project works at community level, raising the awareness on the importance and benefits of birth registration, that is a crucial element for each individual also allowing citizens to benefit from social, economic, cultural, civil and political rights, reducing the phenomena of marginalization and exploitation”. Author UNICEF EthiopiaPosted on December 6, 2017 December 6, 2017 Categories Child Protection, Ethiopia, ITALY, Oromia, SNNPR1 Comment on Italy and UNICEF sign the agreement for the second phase of the “vital events registration project”. ITANG SPECIAL WOREDA (DISTRICT), GAMBELLA REGIONAL STATE, 6 October 2017-While it is commonly understood that water flowing in river streams is not clean and suitable for drinking nor cooking, in Itang town, Baro River was the only main source of water supply in which households depended for everyday domestic use. Consequently, as the Itang Town Water Supply Scheme was launched in October 2017, residents were delighted for the assured access to clean and reliable water supply. The inauguration event of the Itang Town Water Supply Scheme was attended by his Excellency Senai Akwer, Vice President, Gambella Regional State, his Excellency, Thok Thoan, Head, Gambella Regional Bureau of Water and Resource Development. 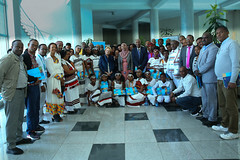 Ms Gillian Mellsop, UNICEF Representative to Ethiopia, Ms Ginevra Letizia, Head of the Italian Cooperation Agency Office, members of the Woreda Administration, the residents of Itang town, and delegations from UNICEF and the Italian Agency for Development Cooperation in Ethiopia. The Itang water supply scheme will provide water for 11,319 and 10,000 individuals in Itang and Thurpham respectively. As part of the multi donor integrated water supply project, the project will provide safe water to a total of 205,703 refugees in three camps of Kule, Tierkidi and Nguenyiel refugee camps after the system upgrade. To curtail the development – humanitarian funding challenges, UNICEF is responding to humanitarian needs in emergency contexts, while at the same time investing in government management systems to increase the self-reliant capacity of the communities. Being one of the emerging regional states and emergency affected regions in the country hosting a proportionally large population of refugees compared to the hosting population, UNICEF has prioritized Gambella. UNICEF provides support to increase sustainable community access to safe water supply by funding the construction, rehabilitation and maintenance of water supply schemes both in refugee camps and host communities. Besides, UNICEF is adopting new approaches to provide water to communities where water is scarce by conveying water from reliable ground water sources where it is available. Shifting from surface water sources to groundwater sources, the Itang Town Water Supply Scheme is composed of pressure main line collector pipes, storage tanks/reservoirs, a central collection tank, a booster station and an elevated water tank. In addition, the system includes the installation of electro-mechanical equipment such as pumps and generators to the host communities in Itang. 18 water kiosks including the pipe distribution system have been constructed to supply at least 20 litres of water for daily use by communities. 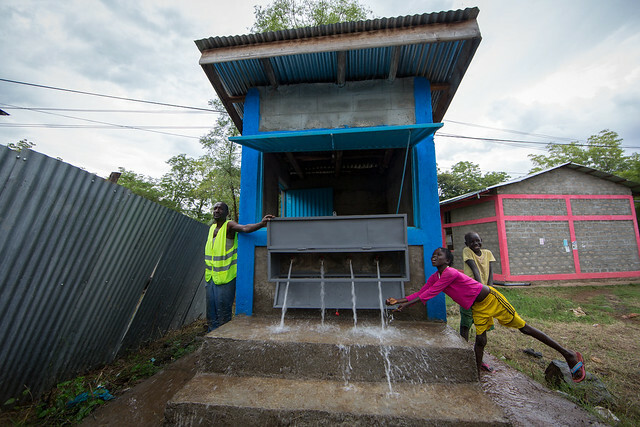 To ensure optimum water use, the Itang Town Water Supply System is being upgraded with the aim to meet the demand of an additional 85,000 refugees in the newly established Nguenyiel camp and surrounding communities. Through collaboration and additional financial support from the German / KfW funding, the project will supply and install pressure main pipes from Itang to the booster station, install additional storage tanks at the collection chamber and booster station, construct additional power houses, supply and install additional electro-mechanical equipment at Itang and the Thurpham pumping station, drill two additional boreholes and rehabilitate two additional boreholes. Similarly, UNICEF has led the development of the business plan for the entire water supply project by promoting cost recovery through user fees obtained for domestic uses of water for drinking, food preparation, washing, cleaning and miscellaneous domestic purposes and institutional uses. A study was conducted with residents of Itang and Thurpham analyzing the institutional capacity and willingness to pay for water supply and sanitation services. In the context of (i) what is being paid for water at the moment; (ii) consumers’ perception about the value of the effort they make to collect water; (iii) the maximum amount that consumers would be willing to pay for a water supply service and (iv) the affordable rate to be paid by the low-income section of the society to determine the bottom level of price for water. Additionally, UNICEF is building the capacity of the Regional Water Bureau and Itang Special Woreda Water Office to improve the overall WASH sector coordination and institutional capacity building. 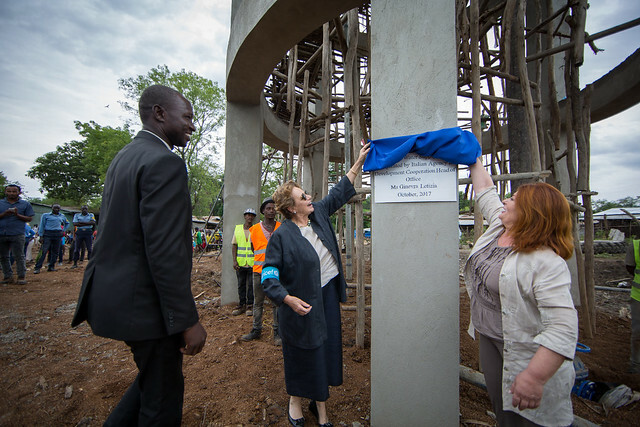 UNICEF has supported the establishment of Itang Town Water Utility which will manage, operate and maintain the entire water supply project. In coordination with UNHCR and the Administration for Refugee and Returnee Affairs (ARRA), the government agency with the mandate for water supply provision for refugees in the country, UNICEF is implementing the cost recovery model of public sector utility management for WASH services as a sustainable long-term solution to service provision to refugee populations. As part of this model ARRA plays a key role through membership on the water board which oversees the water utility to ensure accountability to refugee populations. As UNICEF continues to advocate for a robust partnership with the Regional Government and donor support for different programmes in the region; it calls for a well-defined operation and maintenance system to improve efficiencies, reduce water losses, and increase the sustainability of services. 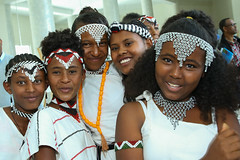 ADDIS ABABA, 7 December 2016 – The Italian Agency for Development Cooperation funded UNICEF with a total contribution of €500,000 to strengthen the civil registration system for children’s rights to identify in two regions of Ethiopia: Oromia and SNNPR, in collaboration with the respective regional Vital Events Registration Agencies (VERAs). The support is crucial as it represents the preliminary condition towards the creation of a fully functional civil and vital registration system of birth, death, marriage and divorce. The funding aims to improve and standardize the Civil Registration and Vital Statistics (CRVS) system and contribute to children’s right to identity to protect them from abuse and exploitation, as well as ensure their access to basic services. The support comes at a critical time in light of Ethiopia’s creation of a fully functional nationwide civil and vital registration system of birth, death, marriage and divorce in August. The funding aims to improve and standardize the Civil Registration and Vital Statistics (CRVS) system and help protect children from abuse and exploitation, as well as ensure their access to basic services. In addition, vital events registration is an important pre-requisite for measuring equity, monitoring trends, and evaluating the impact and outcomes of broader development programmes, such as the Sustainable Development Goals (SDGs). At the signing ceremony, the Ambassador of Italy to Ethiopia, H.E. Giuseppe Mistretta stated that “the registration of birth represents the first step towards the recognition of an individual within a society, allowing him or her to access to basic services and protect him or her from abuses and violence. Avoiding anonymity and invisibility, birth registration sets the basis for an efficient planning of the governmental policies and strategies of good governance”. “All our current and upcoming projects of the Italian Agency for Development Cooperation in Ethiopia are aligned with the priorities and strategies set by the Government of Ethiopia. This initiative’s objectives are also expressed by the Proclamation on Vital Events Registration and National ID (Proclamation No. 760/2012), adopted in August 2012. Coherently with the government strategy, the initiative we are signing today aims at improving the institutional and technical capacity of Regional Vital Events Registration Agency (RVERA) in Oromia and SNNPR to effectively lead and coordinate the registration of vital events” said Ms. Ginevra Letizia, Head of the Addis Ababa Office of the Italian Agency for Development Cooperation. Ethiopia has one of lowest levels of birth registration in the world at just 7 per cent. 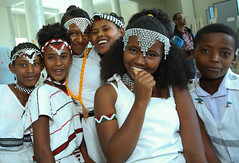 With the new system, however, registration of vital events in Ethiopia has been modernized. From regional up to federal and city level administration, UNICEF is supporting standardisation of registration and certification services, which has been officially launched nationwide. “UNICEF appreciates the timely contribution from the Italian Government to count every child, and in the process, to make every child count. With proof of age and identity, we can protect every child from diverse child protection concerns including abuse, neglect and exploitation, early marriage, child labour and trafficking, and help them to access basic social services, including education and health,” said Gillian Mellsop, UNICEF Representative to Ethiopia.